On Monday, NBA TV kicked off their behind-the-scenes look at the ups and downs of an NBA Season in “The Association.” This year, the show will follow the one of the most talked about teams, the Brooklyn Nets. 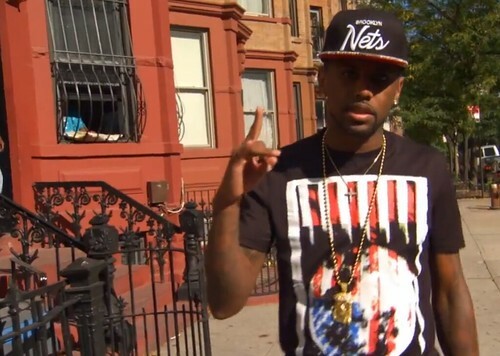 Kicking off their first episode was Fabolous, who performed a new freestyle dedicated to his hometown team. You can catch episodes every Friday night on NBA TV, while the 2012-2012 season begins October 30th. Rap with Loso after the jump…..
Is he bk nets mascot or jay-z mascot?